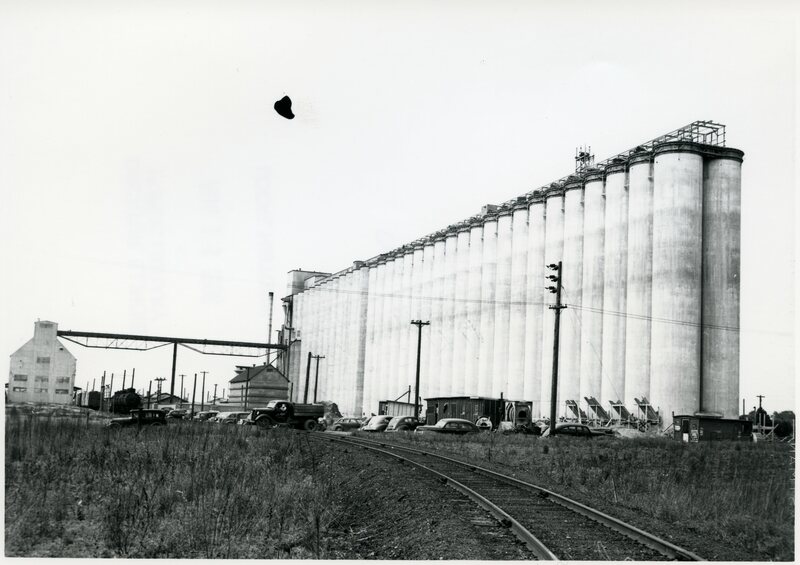 Photograph of the Shellabarger Grain Storage Silos. 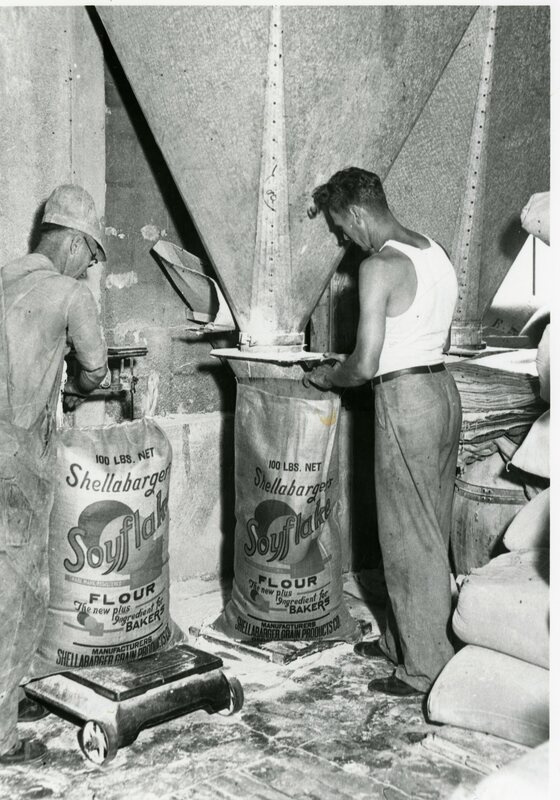 Photograph of worker bagging flour. 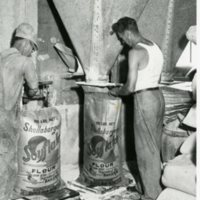 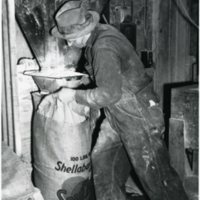 Photograph of two men bagging flour. 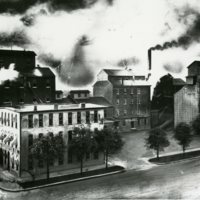 Photograph of the Shellabarger Buildings. 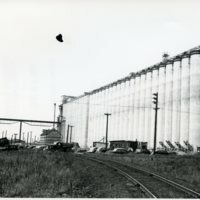 Noel C. Dicks, Arthur, IL. 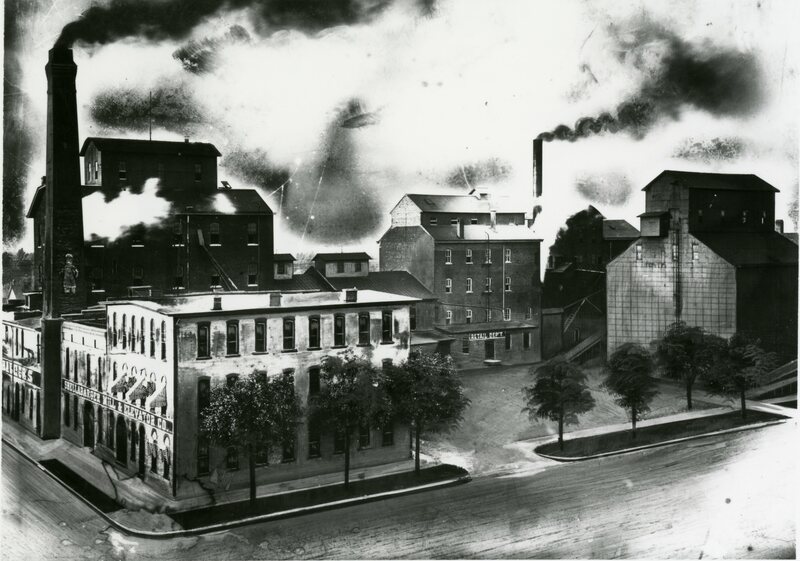 Business, Grain Mills, Manufacturing, Shellabarger, Agriculture, Photo File: Business, Decatur, IL. 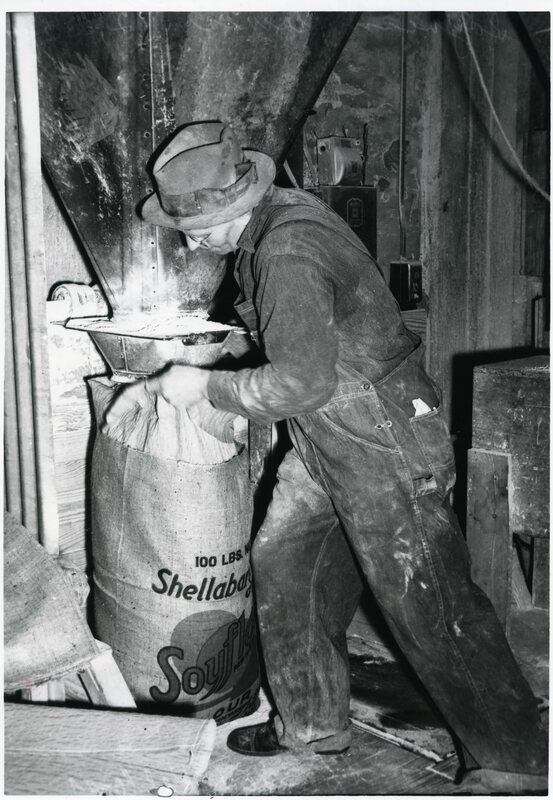 Noel C. Dicks, Arthur, IL., “Photos of the Shellabarger Mills,” Decatur Illinois Public Library Local History Photo Collection, accessed April 26, 2019, http://omeka.decaturlibrary.org/items/show/2912.